Is my horse transport legal? Prize Draw Now Active, a chance win a Maxima Equestrian Combo Fly Rug when you ask for a quote! Family run business. Fully DEFRA/Animal Health Licensed. Fully insured, both vehicles and animals in transit. 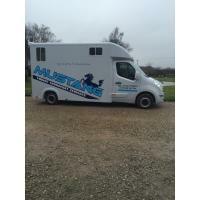 Well over 20 years experience in transporting horses, one of the most experienced horse transporters in the U.K. 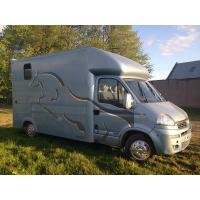 Specialists in National and international horse transport, with small and large loads welcome. 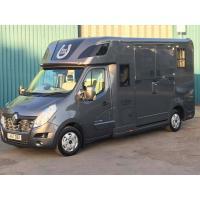 LOC Transport is the choice of the busy professional and the leisure horse owner alike. We are a fully approved and a International horse transporter. we offer a professional service to many European destinations. 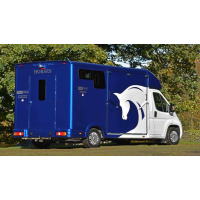 Local, National & International horse transport, also 3.5T Self-Drive Hire & HGV/Class 1 Driver Hire. Horse Transport for any occasion, based in Tiverton. 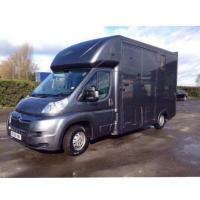 Long and short distance horse transport throughout the UK and overseas at competitive rates. 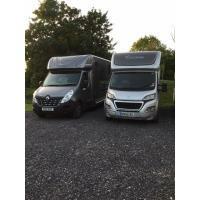 RBI Transport is a Newmarket based horse transport company specialising in all domestic and international equine travel. 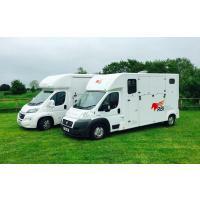 DEFRA/WATO Licensed Horse Transporter based in Lancashire and covers the whole of the UK. 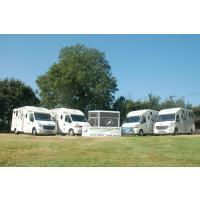 Supreme Horse Transport aim to offer your horse/pony the very best travel experience possible. 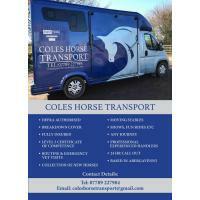 Available for all your horse transport needs, yard moves, shows, vets etc.please contact Nigel or Linda. You can also find us on Facebook. Nagcabs is a family run business committed to providing the best for the horses in our care, we offer a dedicated flexible service for all your local, national, and international transport needs. Based in North Wales Professional and reliable nationwide horse transport service. Acehorse Transport offer a professional and personal service for you and your horse and we are available 365 days a year should you need us we are only a phone call away. Family run business with over 30 years experience transporting horses nationally and internationally. Individual loads a speciality. Essex Horse Transport - Available for National, and Local Journeys. Essex Horse Transport was created so that those who own or work with horses have a reliable and inexpensive way to transport them safely and affordably. Ritchie’s Equine Transport a fully licensed, insured and DEFRA approved company . We offer reliable, safe, competitive horse transport throughout the UK. Local and Nationwide Transport. DEFRA licensed and fully insured. Based in Kent. Fully DEFRA and WATO certificated with Hire & Reward, Care, Custody & Control and Breakdown/Recovery insurances. 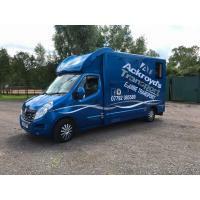 Ackroyd’s Equine Transport VERY COMPETITIVE PRICES!! Owned and operated by Sarah Ackroyd who owns her own horses and has a keen interest in the welfare and safety of the horses she works with. 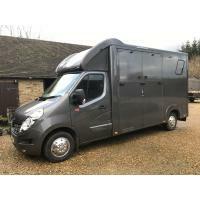 Mallards Reach Equestrian Transport is a bespoke high quality service offering experienced handling and utmost care of horses and ponies during transit. Forbes Arms Horse Transport. We have a 2 stall box and do short or long haul trips.We also do 24hr emergency vet trips. 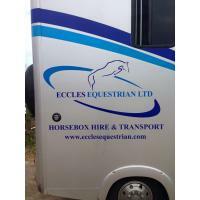 Friendly, reliable, experienced transport for your horse, we are based Nr Catsfield, Battle, East Sussex, DEFRA, WATO approved, fully insured. We attend all major sales, meets, shows matches etc and can provide quotes for single or shared loads at home or abroad. We provide lairage and grooms if required. My husband David and I are fully conversant with stallions and mares and foals. Boothroyden are quality horse haulers and have been transporting horses safely for over ten years. We use quality modern wagons which are fully licensed and insured. Our aim is to provide a stress free horse transportation service in the knowledge your horse is safe and secure. Professional, reliable and friendly transport service offered at a reasonable rate. JGE horse transport is a family run business with 25years in the haulage industry and combining our experience with our own horses from childhood plus working in many other areas in the horse industry. Here at The Horse Couriers we provide a personal and professional service whether you are looking for transport with a driver or self drive lorry hire. Harris Horse Transport caters for all aspects of horse transport both nationally and internationally . GEMS Equine Transport is fully qualified, insured and DEFRA approved. I have over 20 years of equestrian experience, which includes my HND in Equestrian Studies, Equine First Aid and Transportation of Horses. Welcome to Bailey’s horse transport. For all your horse transport needs however big or small we always pride ourselves in providing safe, professional horse transport. Owner/operated service run with integrity & compassion. 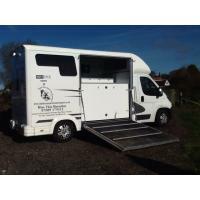 Experienced, professional, friendly and competitively priced Horse Transport Services locally & across the UK from our base in Monmouthshire on the Welsh/English Borders. 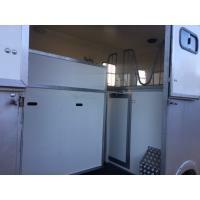 We also Hire horse trailers & Bloomfields 3.5t for DIY transport. "...a great site I've used often - especially for my brood mares to go off to studs and long journeys - every person I've used has been professional, reliable and done a great job - it's saved a lot of time and money!" "...used this site for a journey from Berkshire to Lancashire and was quoted a great price from a transporter who needed to fill an empty box on a return journey. Highly recommend!" Horse Transport Bedfordshire, Horse Transport Berkshire, Horse Transport Buckinghamshire, Horse Transport Cambridgeshire, Cheshire, Horse Transport Cornwall, Horse Transport Cumberland, Horse Transport Derbyshire, Horse Transport Devon, Horse Transport Dorset, Horse Transport Durham, Horse Transport Essex, Horse Transport Gloucestershire, Hampshire, Horse Transport Herefordshire, Horse Transport Hertfordshire, Horse Transport Huntingdonshire, Horse Transport Kent, Lancashire, Horse Transport Leicestershire, Horse Transport Lincolnshire, Horse Transport Middlesex, Horse Transport Midlands, Norfolk, Northamptonshire, Northumberland, Horse Transport Nottinghamshire, Horse Transport Oxfordshire, Horse Transport Rutland, Horse Transport Shropshire, Horse Transport Somerset, Horse Transport Staffordshire, Horse Transport Suffolk, Surrey, Horse Transport Sussex, Horse Transport Warwickshire, Horse Transport Westmorland, Horse Transport Wiltshire, Horse Transport Worcestershire, Horse Transport Yorkshire Horse Transport Anglesey, Horse Transport Brecknockshire, Horse Transport Caernarfonshire, Horse Transport Carmarthenshire, Horse Transport Cardiganshire/Ceredigion Denbighshire, Horse Transport Flintshire, Horse Transport Glamorgan, Horse Transport Merioneth, Horse Transport Horse Transport Monmouthshire, Horse Transport Montgomeryshire, Horse Transport Pembrokeshire, Horse Transport Radnorshire Horse Transport Aberdeenshire, Horse Transport Angus/Forfarshire, Horse Transport Argyllshire, Horse Transport Ayrshire, Horse Transport Banffshire, Horse Transport Berwickshire, Horse Transport Buteshire, Horse Transport Cromartyshire, Horse Transport Caithness, Horse Transport Clackmannanshire, Horse Transport Dumfriesshire, Horse Transport Dunbartonshire, Horse Transport , Horse Transport EastLothian, Horse Transport Fife, Horse Transport Inverness-shire, Horse Transport Kincardineshire, Horse Transport Kirkcudbrightshire, Horse Transport Lanarkshire, Horse Transport Midlothian, Horse Transport Morayshire, Horse Transport Nairnshire, Horse Transport Orkney, Horse Transport Peeblesshire, Horse Transport Perthshire, Horse Transport RenfrewshireRoss-shire, Horse Transport Roxburghshire, Horse Transport Selkirkshire, Horse Transport Shetland, Horse Transport Stirlingshire, Horse Transport Sutherland, Horse Transport WestLothian, Horse Transport Wigtownshire Horse Transport UK, Horse Transport Ireland, Horse Transport France, Horse Transport Belgium, Horse Transport Holland, Horse Transport Luxembourg, Horse Transport Germany, Horse Transport Austria, Horse Transport Switzerland, Horse Transport Sweden, Horse Transport Norway, Horse Transport Finland, Horse Transport Denmark, Horse Transport Spain, Horse Transport Portugal, Horse Transport Italy. © Copyright 2010-2019, Horse Transport Network. All Rights Reserved.